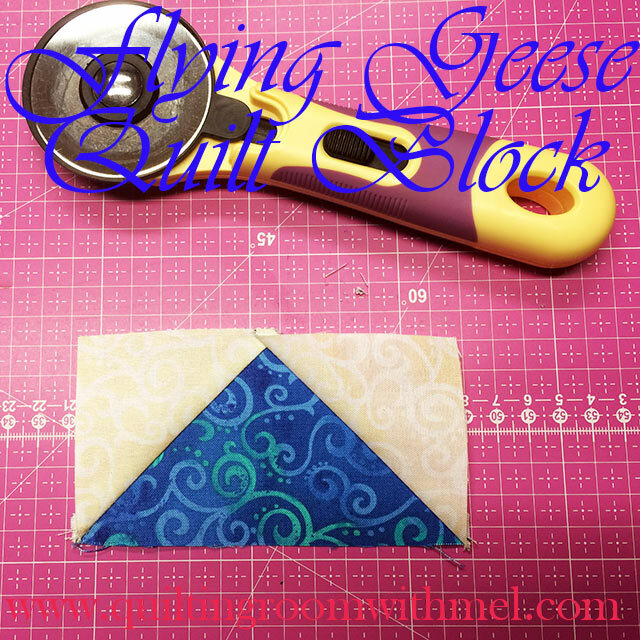 The flying geese quilt block is one of those blocks that can stand on its own or be used in the creation of other quilt blocks. It isn't as hard to make as many think. I use the flippy corner method which keeps the bias stretch possibilities down. We do waste a bit of fabric this way but in my opinion, that little bit of fabric is nothing compared to what could be wasted if a bunch of pieces got stretched out. So let's jump into the flying geese quilt block. I never liked making flying geese because my mom taught me how to make them from three triangles. That was four bias edges that could get stretched all out of whack and it seemed they did every time I attempted to make one. 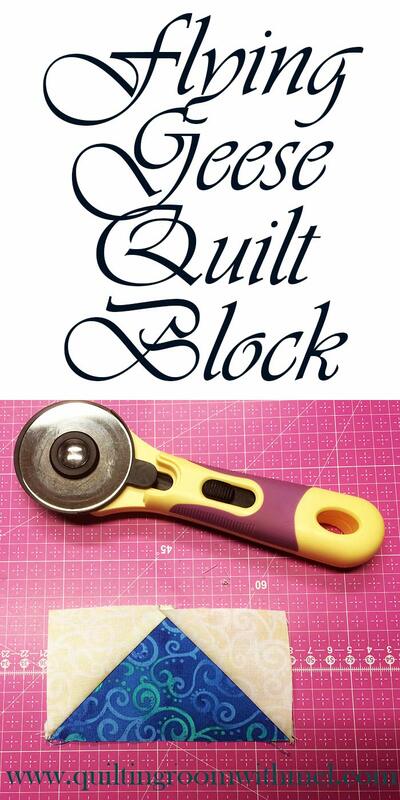 Shortly after I got back into quilting I was making a pencil block. The tip of the pencil used the flippy corner method. After I got it put together the light bulb went off. I had made a flying geese block but hadn't touched a bias edge. My pencil wasn't wonky either. Suddenly flying geese weren't so scary. The reason we are doing the flying geese block is because next week we are going to be making a quilt block that is made up of half square triangle blocks and flying geese. We've done half square triangle in the Pinwheel Quilt Block so we needed to know how to make the flying geese. Now if that little bit of waste does bother you I have a solution for you. Draw another line 1/2" from the first line on the outside of the block and sew on it as well. When you cut your block 1/4" from the first line you'll end up with your edge of your flying geese unit and a half square triangle. You can save those for a border, another project, or the back of a project. Another hint I have for you is don't sew directly on the line, sew a thread's width to the outside of the line. That will give you a little room when you press open. Thread does take up room and for some, they can see that discrepancy others will never notice it. You just do you! That's how I do them, but before I cut off the little triangle I make another stitch then cut between the stitches. You then have a little half square triangle too!!! Love your tutorial!! Thanks Mel!